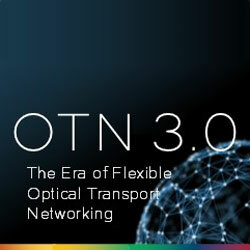 As optical networks are moving from 100G to flexible transmission rates that move up to 600G to support hyper-connected architectures, new flexible multi-rate optical transmission devices and software are required. The company are supporting this critical transition with the demonstrated interoperability between their DIGI-G5 OTN processor and Acacia’s AC1200 Coherent Module. The goal of the companies’ collaboration is to facilitate the industry’s first flexible rate system architectures with an accepted ecosystem to support the market’s transition to 200G, 400G, 600G and flexible rate OTN networks built with new FlexE and OTUCn protocols. “DIGI-G5 allows our optical transport system partners to deliver terabit-class OTN switching line cards at 50% less power per port while enabling flexible rate ports and protocols up to 600G,” said Babak Samimi, vice president for Microchip’s Communications business unit.